Hobbits & Hairdye: Goodbye October, Hello November. 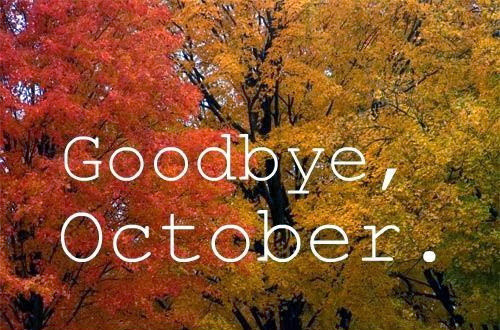 So I'm pretty sure October flew by, I feel like this year is going by far too quickly! Only two months left of 2013, scary stuff! For me, October marks the beginning of the best part of the year, I love Autumn & I love Winter so this is when i'm in my element. 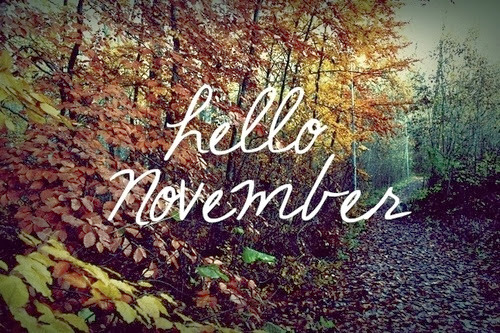 So goodbye October and hello November, I hope you bring very good things. Did you have a good October? What do you hope to happen in November?